A hundred and twenty years old, but looking good. 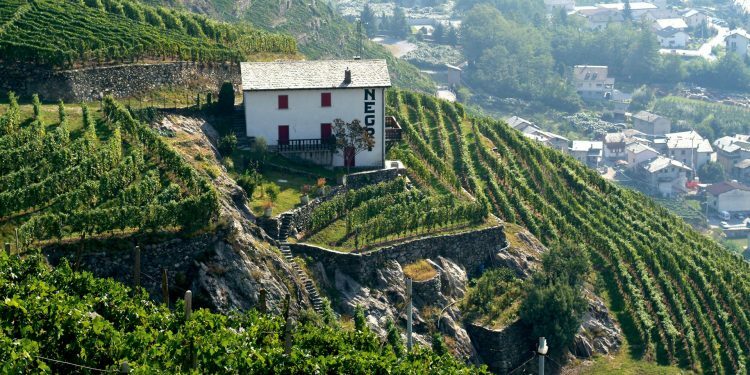 On 10th October the Nino Negri winery in Valtellina, the cutting edge of Gruppo Italiano Vini, celebrated this special birthday at Palazzo delle Stelline in Milan. The occasion brought together distributors, restaurant owners, wine shop owners and Italian and foreign journalists in the presence of all of Gruppo Italiano Vini’s top management, starting with the President, Corrado Casoli, and the General Manager, Roberta Corrà. The real star of the evening was Casimiro Maule, who made the winery in Chiuro (Sondrio) a success and where he has been director and winemaker for over 40 years. “In 1971, when I left Trentino to work for Nino Negri, I never thought I would come this far,” he commented with emotion. 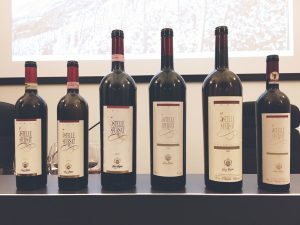 “In 1986, the winery became part of Gruppo Italiano Vini, which invested a lot in production and relaunched the brand from a commercial point of view.” In 1989, the Sfursat 5 Stelle was awarded its first gold medal, which marked the beginning of a long series of conquests and international awards. The vertical tasting of Sfursat 5 Stelle included the 2013, 2009, 2001, 1999,1997 and 1989 vintages. It is difficult for Maule to establish a hierarchy and the discussion lingers on a few technical notes. “I define it as ‘the hundred-day wine’, because it is the result of slow grape drying, which gives us richness and aromatic complexity. Modern techniques enable us to keep many aspects under control, as well as to perfect the selection and ageing methods. The vintage remains a question mark, though: sometimes it offers us more concentrated wines and sometimes more linear ones. Interestingly, the odd-numbered vintages, like those in the tasting, turned out to be the best.” The 2013 is still young and lively, the 2009 proves full and balsamic, while the 2001 is round and harmonious. The 1997 and 1989 concluded the tasting, and demonstrated the great ageing potential of this wine, which manages to maintain uncommon pleasantness and freshness.